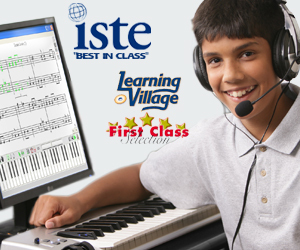 HALIFAX, NS AND SUNNYVALE, CA, May 1, 2009 – The National Parenting Center has awarded its Seal of Approval to MusIQ HomeSchool – Year 1, the first music and piano curriculum for home schooling families to win approval from a leading parent advocacy organization. A first-of-its-kind music curriculum, MusIQ HomeSchool combines the benefits of interactive software, Children’s Music Journey, with comprehensive lesson plans, activities and frequent assessments. The National Parenting Center’s Seal of Approval program is an independent testing procedure judging a variety of products to help better inform parents. Testing involves a multi-step process conducted over an eight week period. Staffed by volunteers, the testing facility of The National Parenting Center gives parents, children, and educators the opportunity to examine a variety of submitted products. The testers are encouraged to play with, build, and read about each product or service’s quality, and judge by the reactions of children. Evaluations review desirability, interactive stimulation and other ingredients essential in the make-up of a quality product, and results are based on both statistical averaging and comments received from the parent/testers. “As the leader in interactive music learning solutions, we’re proud to be able to offer parents a superior program that helps children learn to read music, play piano with both hands, compose and improvise,” said Doug Rideout, vice president, Adventus Inc. Founded in 1996, with headquarters in Halifax, Adventus specializes in developing highly engaging, interactive programs that inspire students of all ages to learn the language of music. MusIQ HomeSchool, facilitated by Adventus’ interactive software, is an innovative music and piano learning solution that may be easily integrated into a regular home-study routine. Adventus technology also facilitates highly popular and successful MusIQ Club, an after-school music program, offering group piano lessons in dozens of cities across Canada and USA. The National Parenting Center’s review of MusIQ HomeSchool – Year 1 is available on www.tnpc.com .